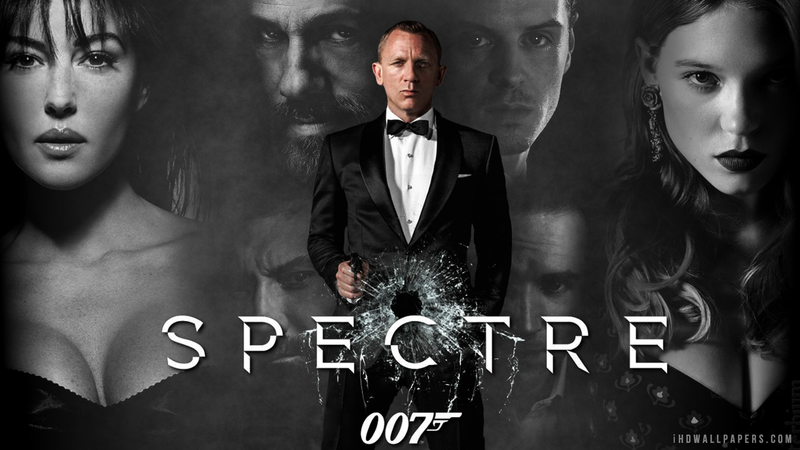 Spectre UK / USA 2015. So James Bond arrives on Friday. I don’t think I have ever seen a Bond at the HPPH before. However, it appears that this film is only distributed in a 2K DCP [or on Imax] so it should look and sound just as good as elsewhere on the cinema’s screen and sound system. Bond films are usually entertaining, and recent ones have all included spectacular action sequences. Daniel Craig is, for me, the best Bond since Sean Connery. I shall miss Judi Dench though. And Léa Seydoux and Monica Bellucci presumably did not have to make the same sort of effort they put into their more serious characterisations. I wondered if Christoph Waltz was able to resist being funny. The production team should provide quality. We have Sam Mendes, John Logan and Neil Purvis directing and scripting, and they are all experienced in this genre. I thought Skyfall (2012) was pretty well done, though the ending and goodbye to Judi Dench was too drawn out for me. This new film is five minutes longer. Cinematographer Hoyte Van Hoytema worked on Interstellar (2014), visually stunning. Editor Lee Smith worked on Inception (2010), extremely well put together. Whilst Production Designer Dennis Gassner also worked on Skyfall. And they had an extremely large production crew working with them, many of them experienced in the genre. The composer Thomas Newman has also provided the score for Bridge of Spies (2015). My most serious reservation is the return of Spectre. I never found that organisation convincing. Though it was always nice not to have to suffer another film with anti-Soviet plot and characters: a tradition continued in the aforementioned Bridge of Spies. And just an aside, if you want to see really good chess on film watch Satyajit Ray’s The Chess Players (1977).